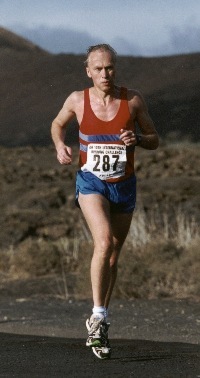 Started running in 1978 and has now run over 30,000 miles. "Most enjoyable event is the 'LA SANTA LANZAROTE CHALLENGE WEEK', 10K, 7M, 5K Beach race and a cross island 25k all in 4 DAYS. Takes place in December each year - a great training venue - and sun in December". Says Steve. 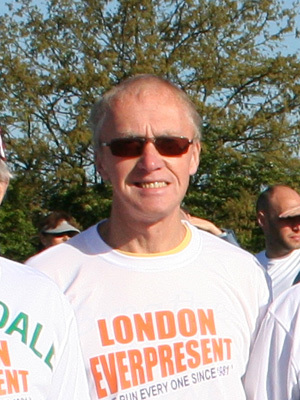 BBC Sport Online's Matt Slater meets the corporation's very own running guru, London Marathon ever present Steve Wehrle. We have all heard somebody we know, usually on the morning after the night before, say 'That's it, never again'. 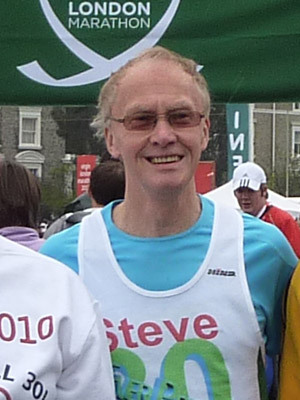 Well, if anybody hears Steve Wehrle moaning about his feet or his lungs after the London Marathon on 22 April ignore him, he is an addict - it will take more than a few blisters to keep him out of next year's race. Wehrle is one of 38 runners lining up this year that has been there 20 times before. This group, the "Ever Present", has come back for more of the same every year since the first race on 29 March 1981. Why? For Wehrle the answer is simple. "I love it. I enjoy the training as much as the day. 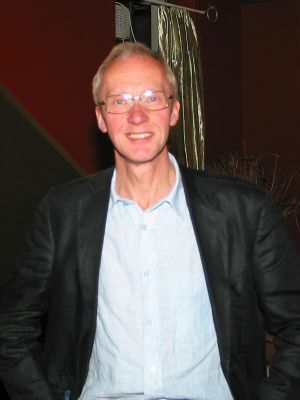 I am frightened to stop," Wehrle said. 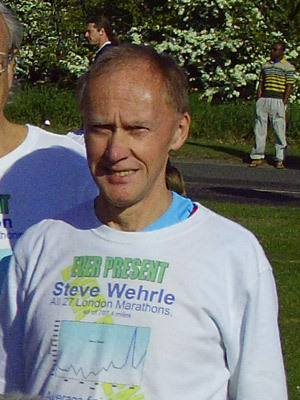 After taking up running in 1978 at the age of 30, Wehrle has run marathons all over the world and estimates that he has run about 30,000 miles in total - an equivalent of more than eight laps of the globe. Wehrle, as you would expect, is a treasure cove of knowledge when it comes to the London race. But what is his number one training tip for a successful day? "Do the mileage. There are no short-cuts, I've been looking for 20 years and still haven't found them," he said. "It is difficult training through the winter, but that's why it's much better to train with friends or as part of group. It is also a good idea to mix your training up." Wehrle suggests combining short, fast runs, with long, slow runs, as well as mixtures of the two - interval or fartlek sessions - to keep your training fresh. "But there really is no substitute for putting the miles in," he added. "There is a theory that says you multiply your average daily training mileage by three to work out the point that your body will start to really suffer from. "This, sadly, brought no comfort for me as it means I will be blowing hard from halfway onwards." 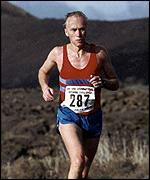 On race day itself Wehrle always tells his BBC Running Club members to keep it steady at the start. "The first five or six miles can be a nightmare. First of all it can take 15 minutes to cross the start line, and then another half an hour before you find a bit of room to run in," he said. "So the instinct is to run too fast at the start in order to find some space - do this and you are going to be in trouble later on." Wehrle is also no stranger to the phenomenon of 'Death in Docklands' - the infamous flagging feeling that all London veterans have grappled with around the 19-mile mark. Do not scrimp on training - do the mileage! Take it steady at the start - save some gas for Docklands! "There is no question what my least favourite part of the course is - Docklands. I had a terrible time getting through there a few years back," Wehrle recalled. 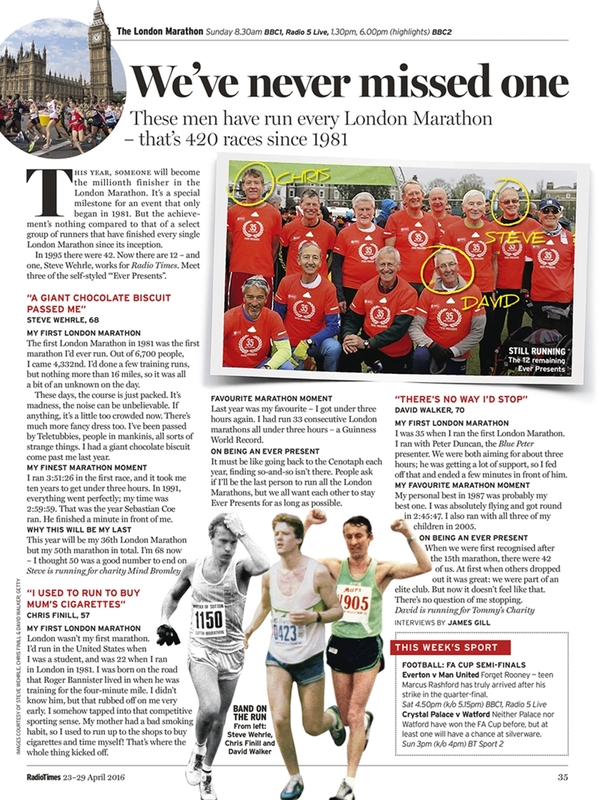 "But that is the tricky thing about the marathon. It depends so much on how you're feeling on the day, the weather, what kind of start you get." While Wehrle's chances of bettering his best London time of two hours 59 minutes and 59 seconds - which must have been some sprint finish - are slim, he is hoping to improve last year's time of 3:52:51. "I'll give it a go. The training has gone well this year, and I'm hoping for 3:45ish," he said. "But just getting around will be enough. 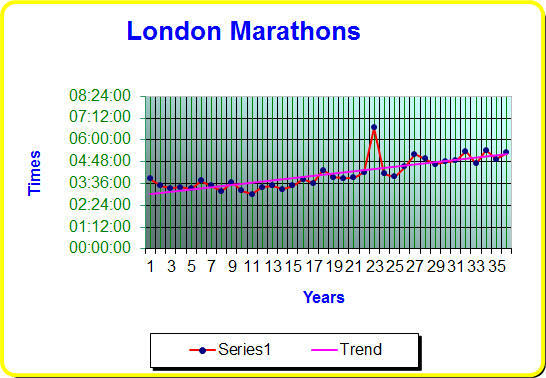 The powers that be are going to make some kind of presentation to us at the end to celebrate our 21st marathon." While Wehrle will be happy to find some space on his mantelpiece for another plaque or trinket, I am sure the best prize the organisers could find is free entry to next year's race.